See my blog page is already linked with twitter. Now I’m about to link my account. 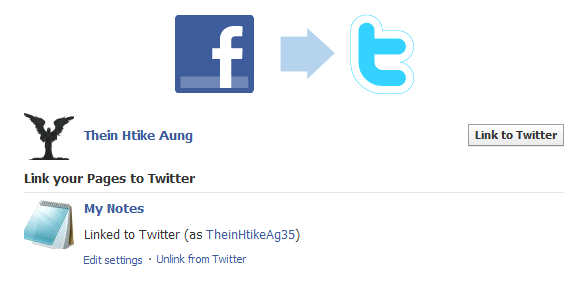 Click ‘Link to Twitter‘ button. 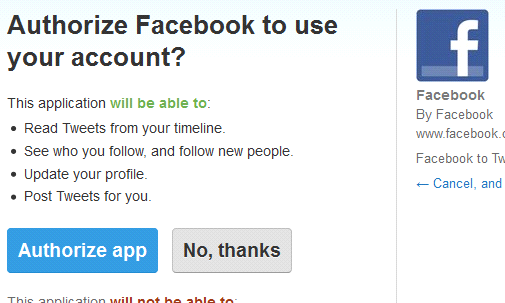 Then it redirect to my twitter acc and click ‘Authroize app’ button. 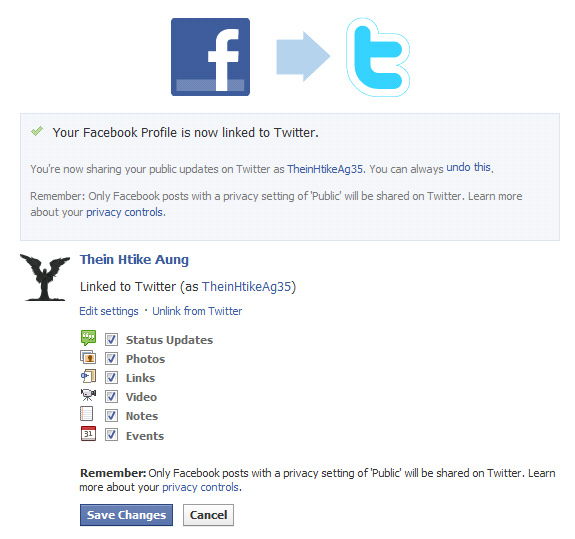 Now, my acc is linked to Twitter. Edit setting as you liked and save. See the following, it should properly appear after linking. P.S My shared post from above is about funeral of 5 fire fighters who sacrificed their lives while extinguishing at warehouse burning in Yangon, Myanmar in earlier morning on 29th December. It’s so sad, I bow my head and proud of our heroes. Fire kills 17 and 108 got injured in this warehouse blaze. This entry was posted in Notes and tagged Facebook, fire fighters, heroes, Knowledge Sharing, Twitter, Yangon by Thein Htike Aung. Bookmark the permalink. nice work !!! I don’t know that. Thanks for you share.